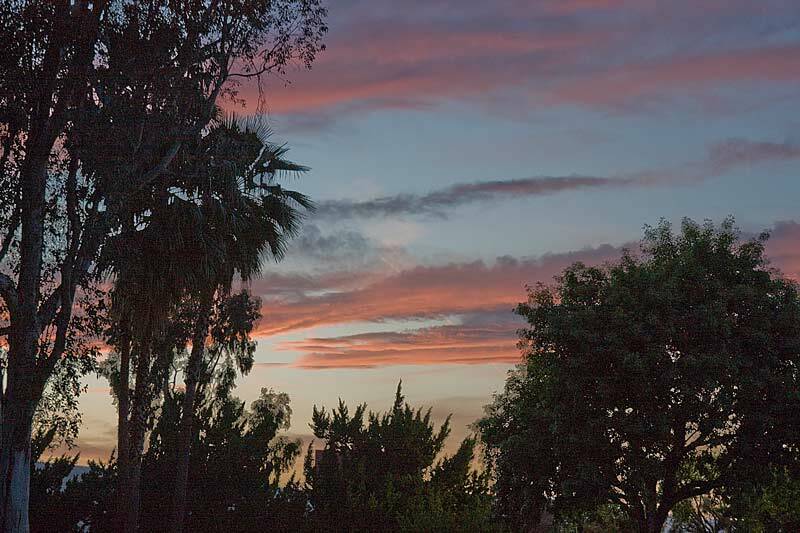 The clouds were beautifully red in the fading SoCal sun. Maybe it’s pollution at work or the dust from a distant volcano? I choose to bury my head in the sand and just accept it as is. Helaine and I took a little walk after dinner. The temperature was around 70&#176. Humidity was a no show. We went to Fry’s which is down the block from our hotel. Helaine is to Fry’s as Geoff is to the mall. As we walked out the door I looked up, pointed and shot. What is wrong with this photo? Nothing.